After a long day of work-- or class-- the residents of the Oakland neighborhood of Pittsburgh love to stop off for a drink and a bite with friends. There are no shortage of bars to choose from, but some definitely have a better happy hour than others. We’ve put together a list of the 8 best places to grab a drink in Oakland after the day is done. 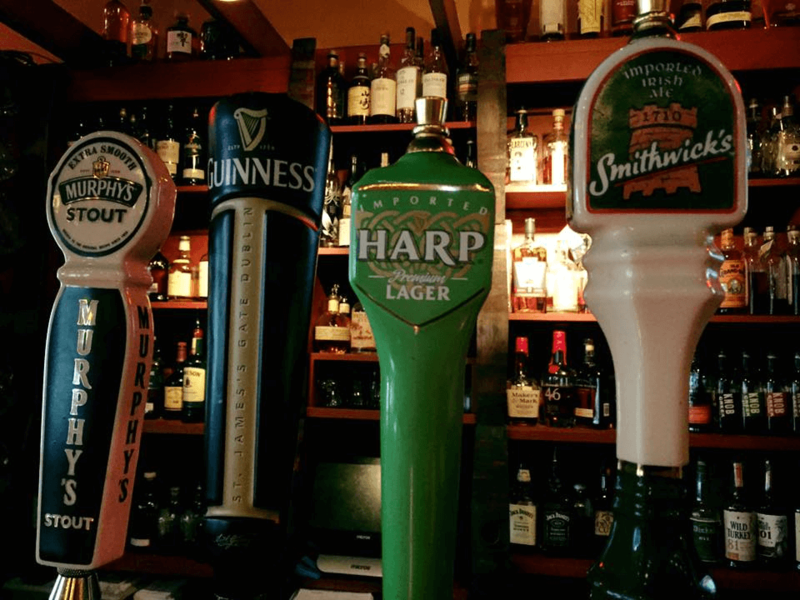 Make sure to stop by any of these places for some serious happy hour fun! What better way to enjoy a happy hour drink than by treating someone to a GiftYa virtual gift card! Accepted at all the spots below, it’s a great way to send someone you know a personalized present. They’ll never have to worry about forgetting it-- as it transfers directly to their debit card. There’s no easier way to send a gift! Image courtesy of Fuel and Fuddle. This lively joint is always packed during happy hour. Fuel and Fuddle is one of the best spots in Oakland to stop in for happy hour. It’s a relaxed atmosphere that likes to serve their drinks cold, and their food in large portions. From the loaded fries to their desserts-- there is no way you can leave this place hungry. You can’t go wrong spending happy hour here either-- whether it was a long day at the office or the classroom, anyone is sure to have a good time. Sometimes patrons have so much fun at happy hour, the end up staying all night. Be sure to check out their late night menu as well, which is available from 11pm-1am. 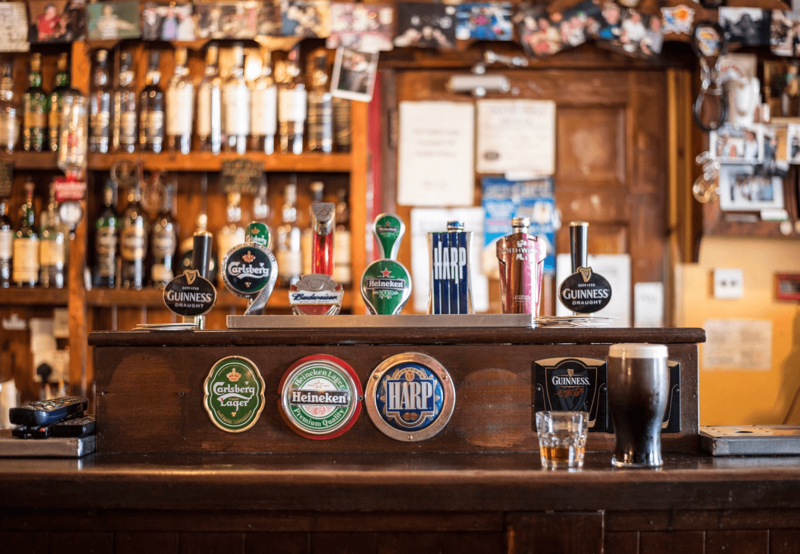 And don’t forget to ask your waitress for your very own beer or whiskey bible-- if you make it through enough of their beer or whiskey offerings, your name will be forever immortalized with a plaque on the wall. Image courtesy of Mad Mex. Everyone comes for the margaritas, and stays for the chips and salsa! If you’re in the mood for some Tex-Mex at happy hour, then look no further than Mad Mex. 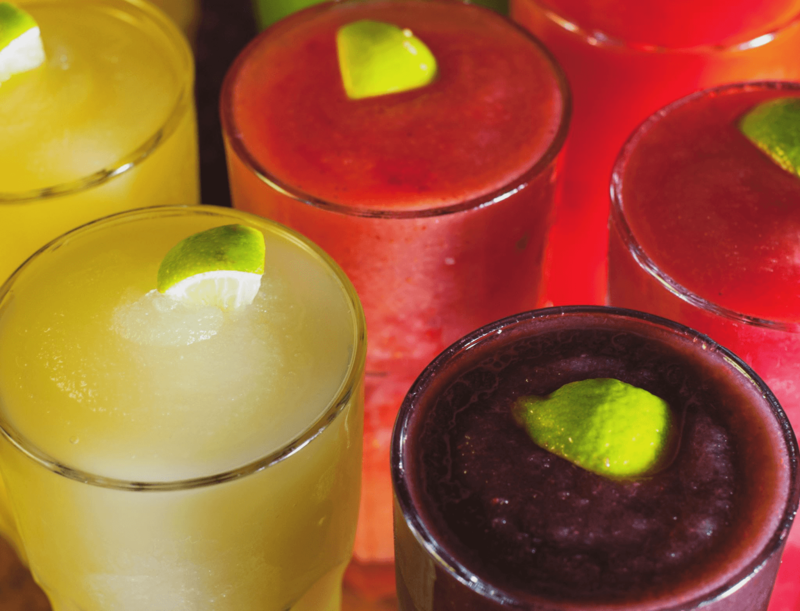 Home to one of the best happy hours in the ‘Burgh, this place is serving up margaritas and appetizers that are sure to make your mouth water. Their menu offers all your favorite Tex-Mex staples-- chips and salsa, burritos, wraps, and quesadillas. With so many amazing options on their menu, you’ll have a hard time decided what to have with your drink! Mad Mex has a couple of different locations throughout Pittsburgh-- but every one of them fills up at happy hour. Make sure to stop in at each of them to sample all your favorite south-of-the-border cuisine! If you prefer something a little different than the bars in Oakland that cater to students, then consider trying Bridges Restaurant and Lounge. It is attached to the Wyndham Pittsburgh University Center-- so while it’s still in Oakland, it’s in a much quieter area. Guests of the hotel and drop-ins alike love to sit on their patio and watch the hustle and bustle of the city below-- and their happy hours are full of patrons who are looking to unwind after a long day or business or travel. Take in the sights of Oakland all from the comfort of this upscale lounge! Image courtesy of Hemingway's. This popular bar offers happy hour prices three times each day! Hemingway’s is a great spot to grab a drink and some appetizers after class. 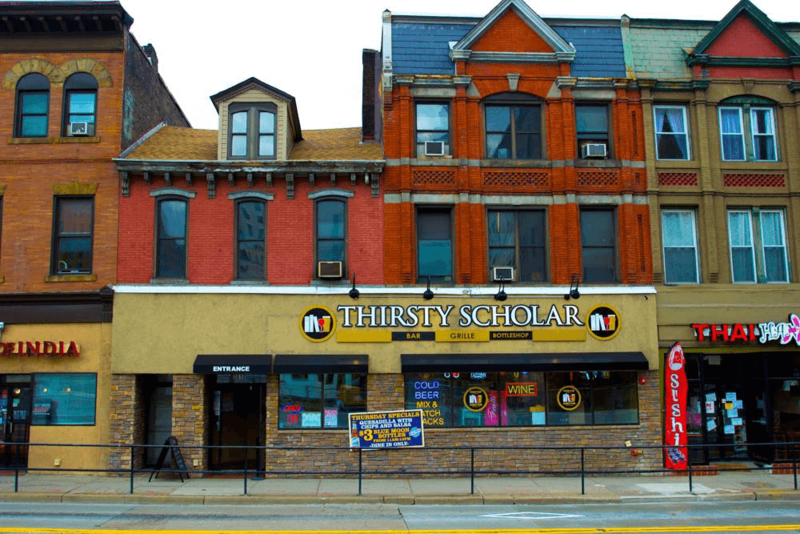 Located right next to the University of Pittsburgh, Hemingway’s is a Pitt student tradition. They also happen to offer happy hour prices at three separate times of the day-- not many other bars in Pittsburgh can boast of that! This spot can fill up fast though-- depending on the time of day. No matter what time you’re done with class or work, you’re sure to be on time for the Hems Meal Deals. Being such a student-friendly bar, there is also a rotating IPA selection at happy hour prices, all day. A great bar where you can meet with friends for happy hour and stay to watch the game. 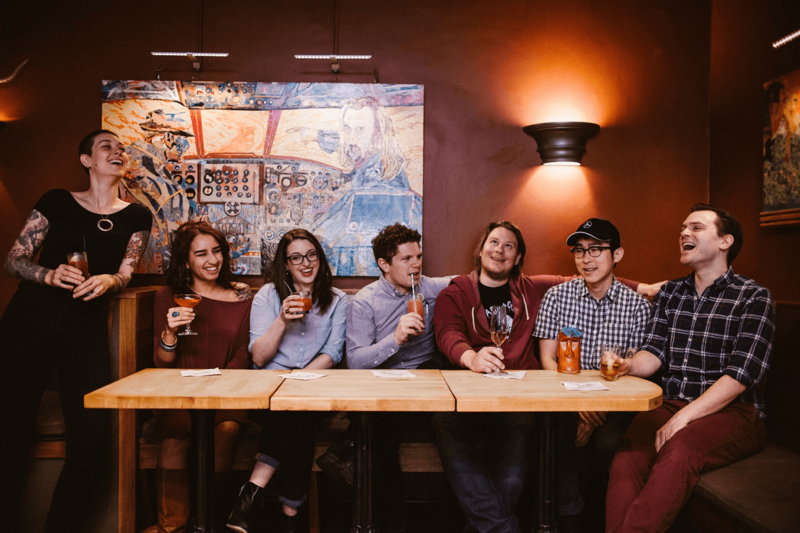 Bootleggers is another Pitt student tradition, and a great place to grab some drinks after class-- or after work as well! It may not look like much, but the food is good, the drinks are cold, and the staff is super friendly. This welcoming place is a must-visit for fans before Pitt basketball games and fills up very quickly. Alumni also make it a point to stop into this unassuming bar when they’re back on campus for events. Their cheap prices and fun happy hour make this another great place to stop for a drink in Oakland. Image courtesy of the Thirsty Scholar Bar and Grill. A great happy hour spot in Oakland that is popular with students as well as professionals. 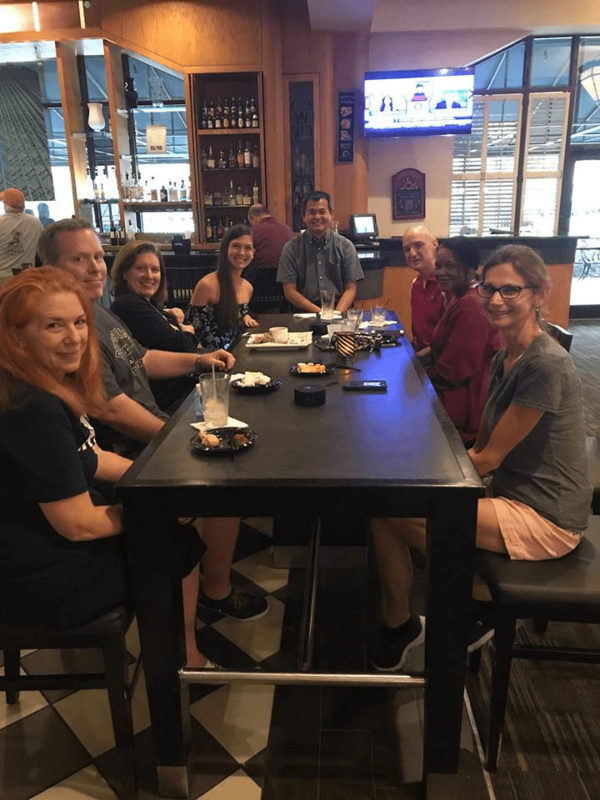 The Thirsty Scholar is a great place to kick your feet up with friends and enjoy some happy hour drinks. Be sure to stop by on Monday or Tuesday when they offer a second happy hour later in the evening. If you can’t stop by for the traditional time of 5pm-7pm, not to worry. Their second happy hour is from 8pm-10pm-- and all the prices and specials are included. Don’t forget to try their wing night specials on Wednesday night as well! Image courtesy of Primanit Bros. This is where you get to experience a real Pittsburgh happy hour -- with a beer and a Primanti's sandwich! Primanti Bros. has locations all over Pittsburgh-- and every single one of them are a favorite spot for Pittsburghers at happy hour. The Oakland location is especially crowded at this time-- with a mix of students, professionals, and tourists. Everyone comes for the same thing-- the beer and the world famous sandwiches. There just isn’t a better way to experience a Pittsburgh happy hour than at Primanti Bros.! Image courtesy of Butterjoint. A classy happy hour spot with some of the best drinks in Oakland. Butterjoint is located right next to the elegant restaurant Legume, and serves as its cocktail bar and lounge. Pop in here if you’re in the mood for some spectacular, freshly made cocktails which are made fresh, right on the spot. 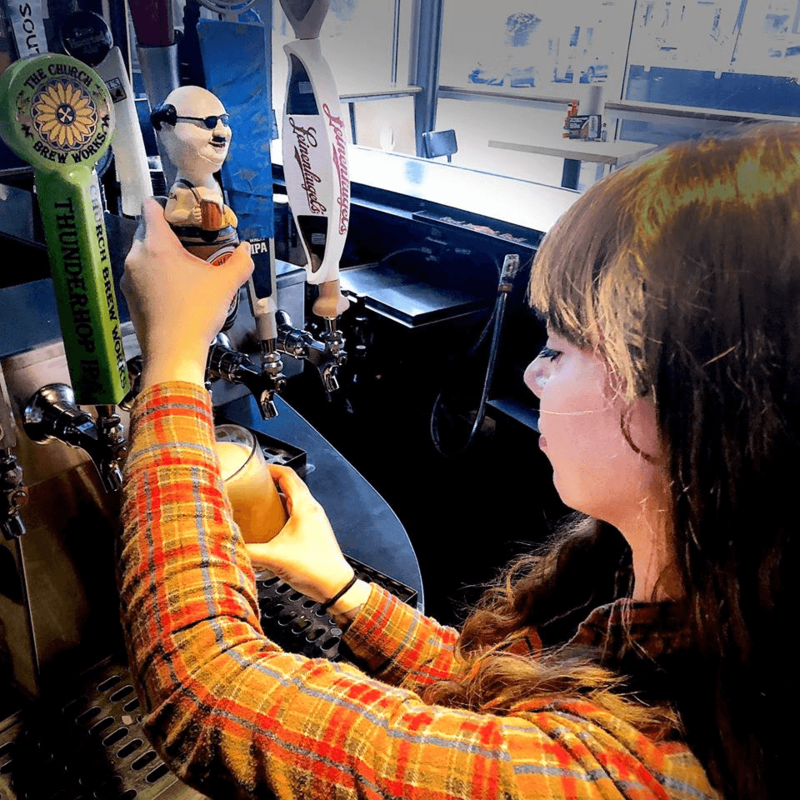 All of their drinks are made with care by the excellent mixologists-- and if you’d like some bites to go with your drinks-- the full Legume menu is also available. Since the menu changes seasonally, be sure to stop in often to check out what’s on their happy hour list! Oakland is home to some of the best happy hour spots in Pittsburgh. There are many other bars in this neighborhood that have a great happy hour as well-- this list is only a sampling! 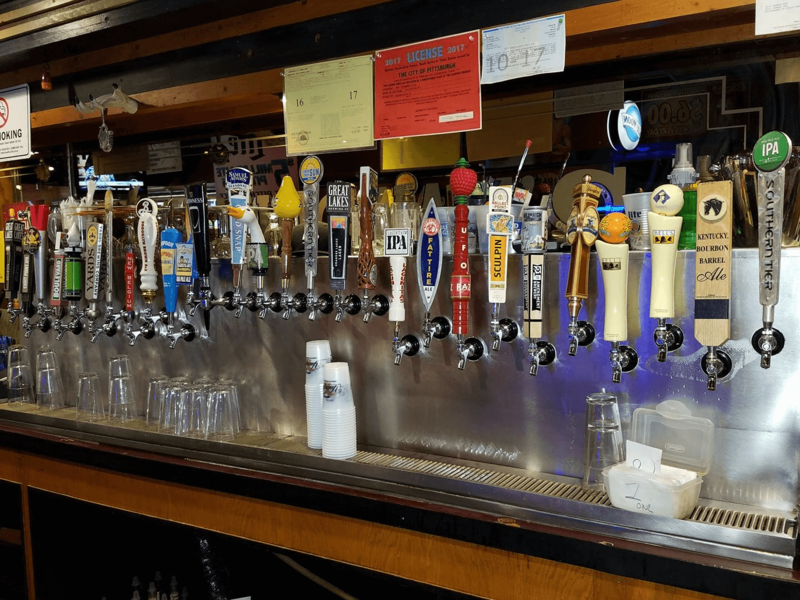 What’s your favorite spot for happy hour in Oakland? Let us know in the comments!